Gram flour, also known as garbanzo bean/chickpea flour/besan, is a gluten free flour made by grinding dried chickpeas. It is commonly used in Indian and Middle Eastern cuisine and it is naturally high in protein than any wheat-based flours. It is popularly used in Southeast Asia as a natural skin and hair care product. Gram flour is an excellent exfoliating agent that will help scrounge off dead cells, dirt and grime stuck deep within the pores and on the skin’s surface. It is traditionally used in India as a natural non-foaming soap and facial/body cleanser. Gram flour contains a high amount of saponins, which are natural cleansing agents also found in oatmeal, that help deep cleanse skin. 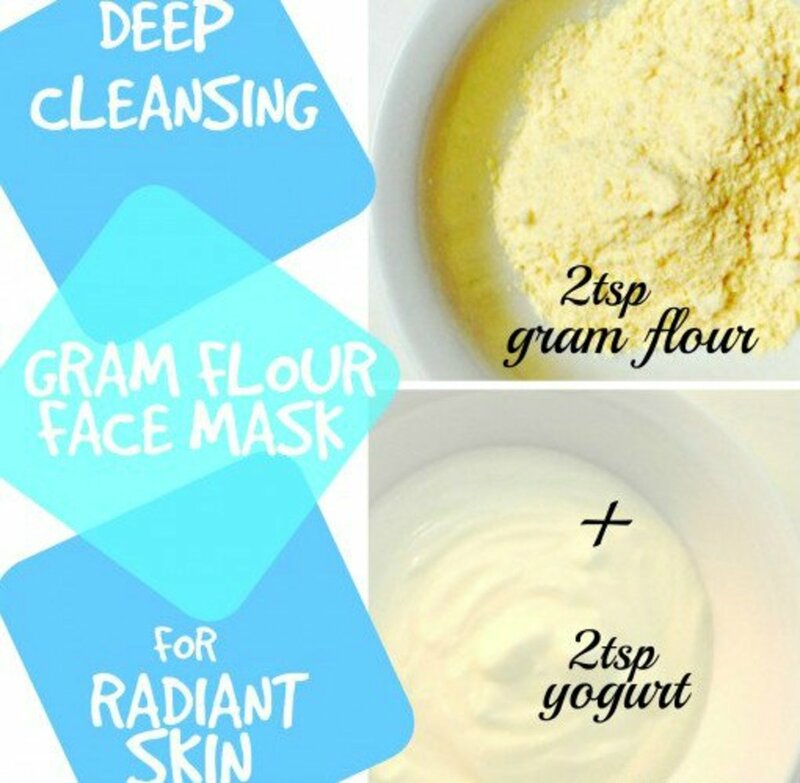 The gram flour yogurt face mask is a popular mask used to exfoliate, soften and moisturize dry skin. The gram flour helps exfoliate flaky skin and dead cells on dry skin while the yogurt will moisturize dry skin by locking in moisture. In the small bowl, add 2 teaspoons of gram flour and 1 teaspoon of yogurt. Mix thoroughly to form a soft and creamy paste. Apply the paste onto your face in gentle circular motions. Wait for it to dry up, which takes about 3 to 5 minutes. When the time is up, rinse off with warm water and splash cold water in the end to close pores. Pat dry and moisturize. 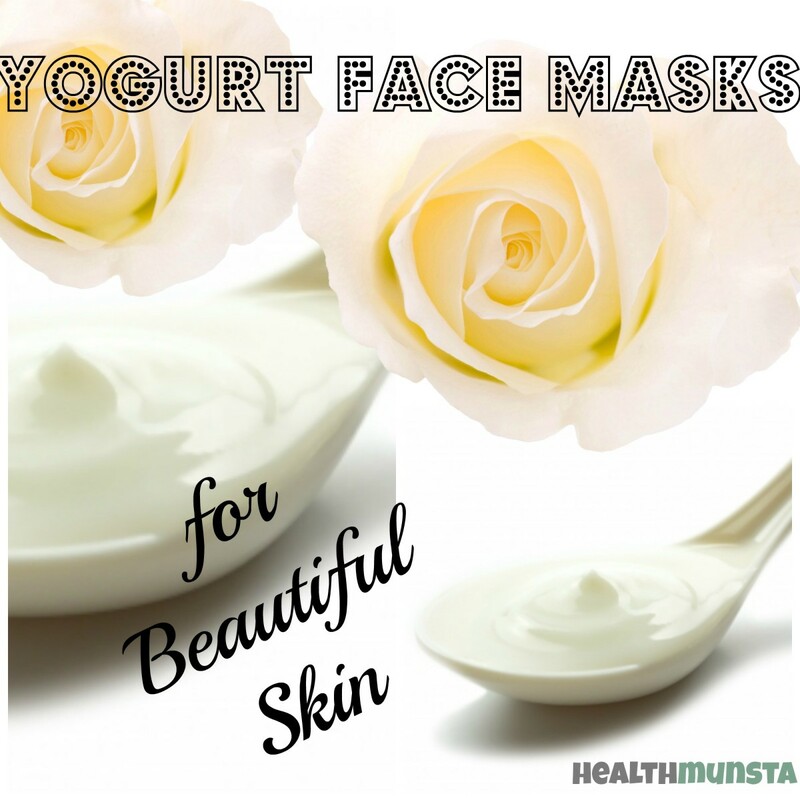 Use thick full fat yogurt like greek yogurt or labneh for best results. 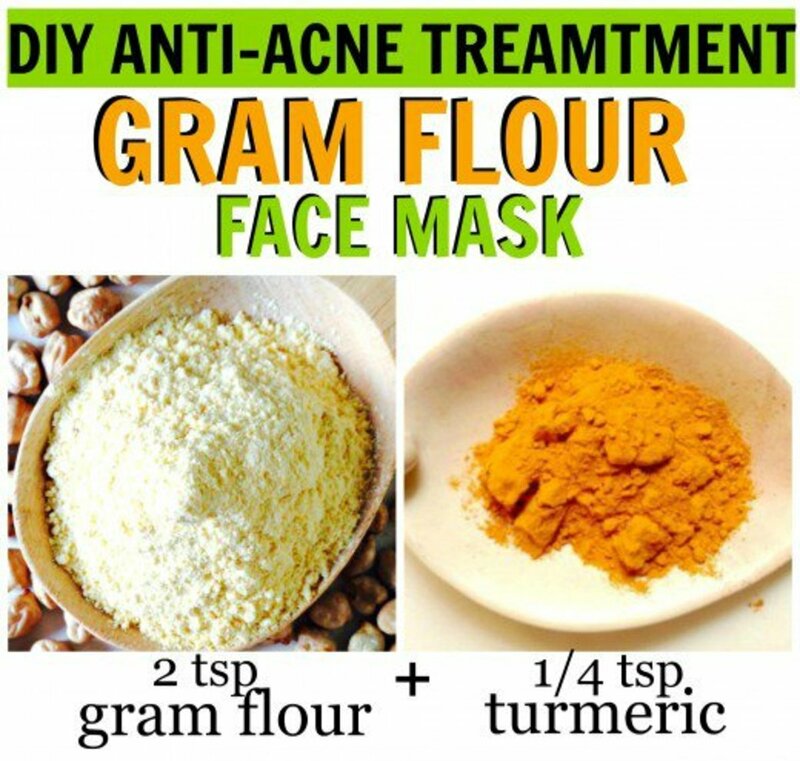 Turmeric is a powerful anti-acne face mask ingredient. 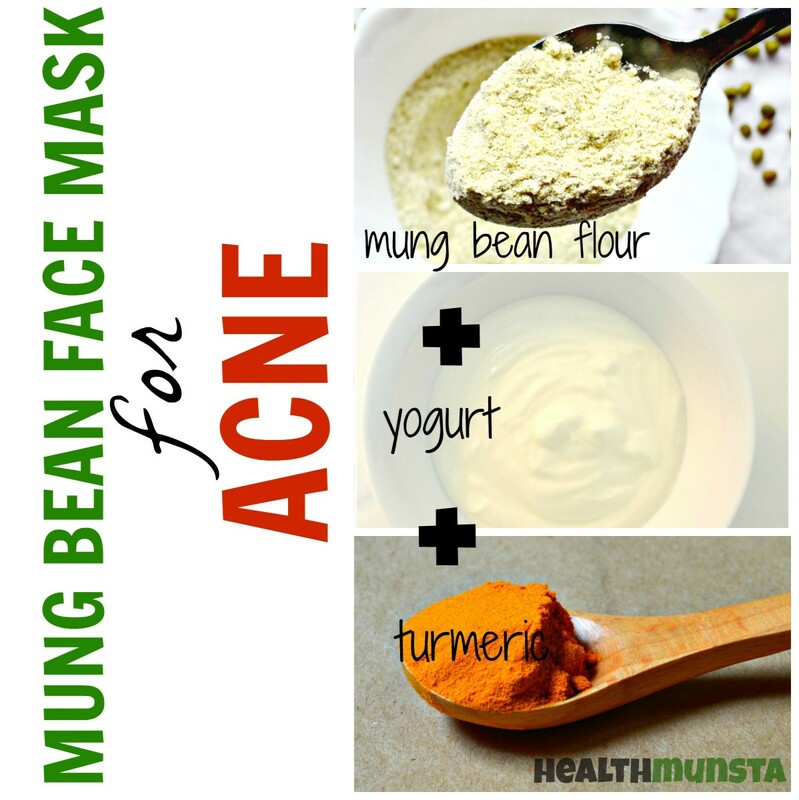 It contains anti bacterial properties that help fight off acne causing germs. This golden spice is also a natural skin brightening, lightening and whitening agent. However, a little goes a long way and turmeric can actually stain skin, depending on the skin tone. For very pale skin, make sure to use 1/3 teaspoon of turmeric powder. Combine well the above ingredients in a small bowl to get a paste. Feel free to add more water to make it paste-like but make sure it doesn't turn watery! 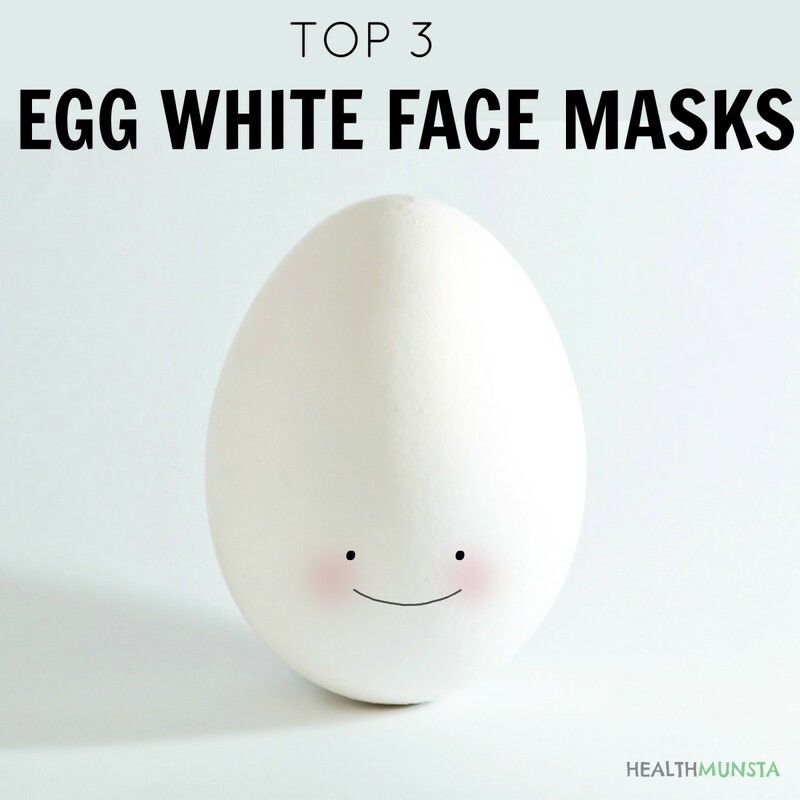 Using a face mask brush, apply the mask onto your face, avoiding the areas around your eyes and mouth. Wait for the face mask to dry up before rinsing off with warm water. Pat dry with a fluffy towel. 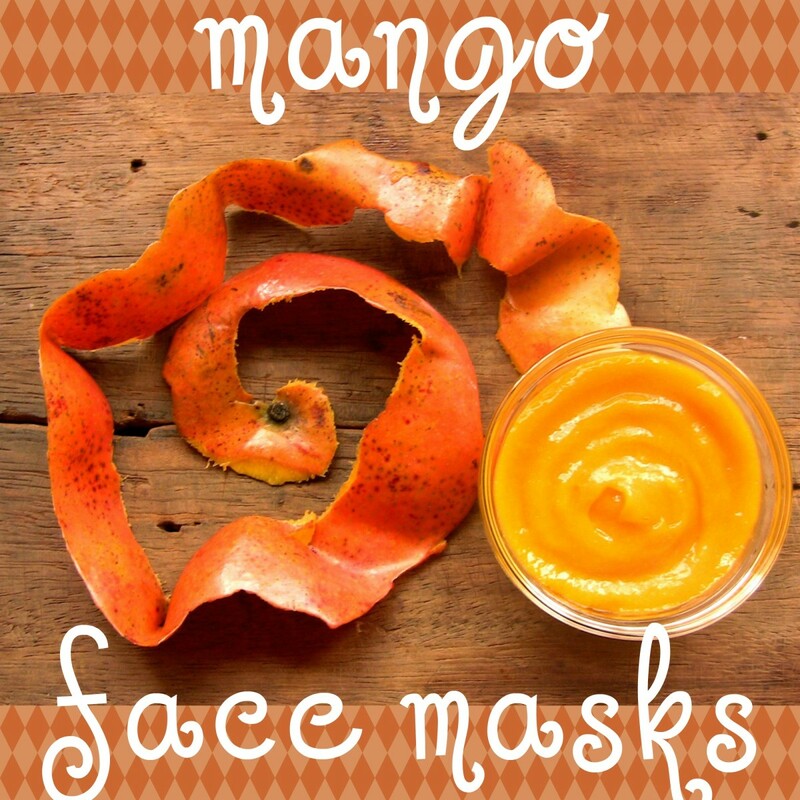 You can also use clean finger tips to apply this face mask, however it might stain your nails yellow. 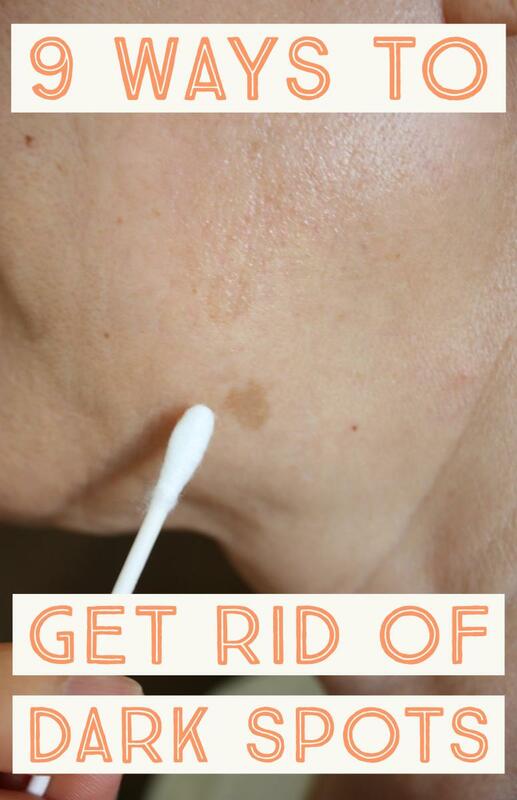 To get rid of yellow stains, simply scrub them with a mild soap and water. 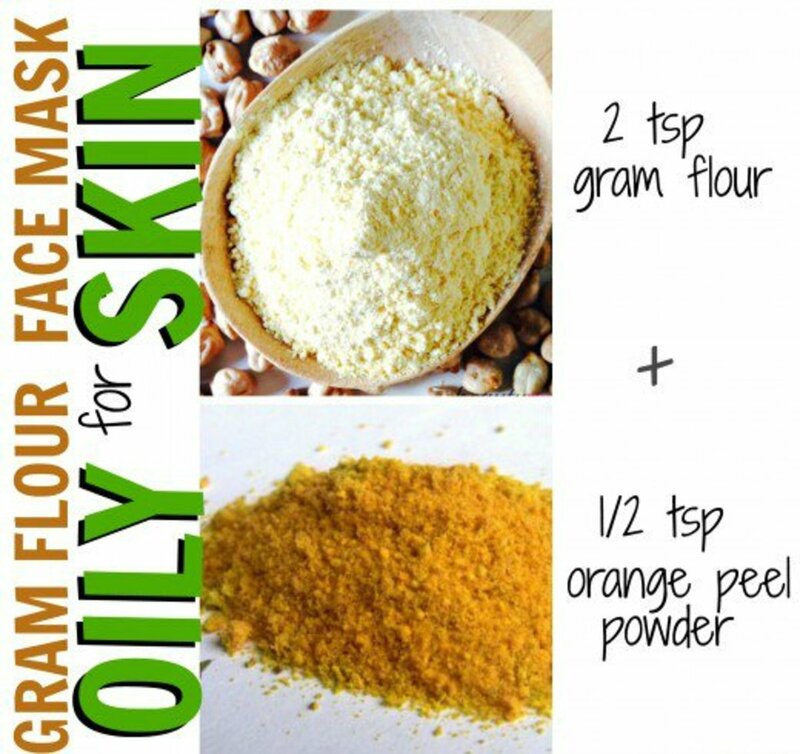 Orange peel and gram flour are both excellent natural ingredients for removing excess sebum on the skin’s surface and within the pores. 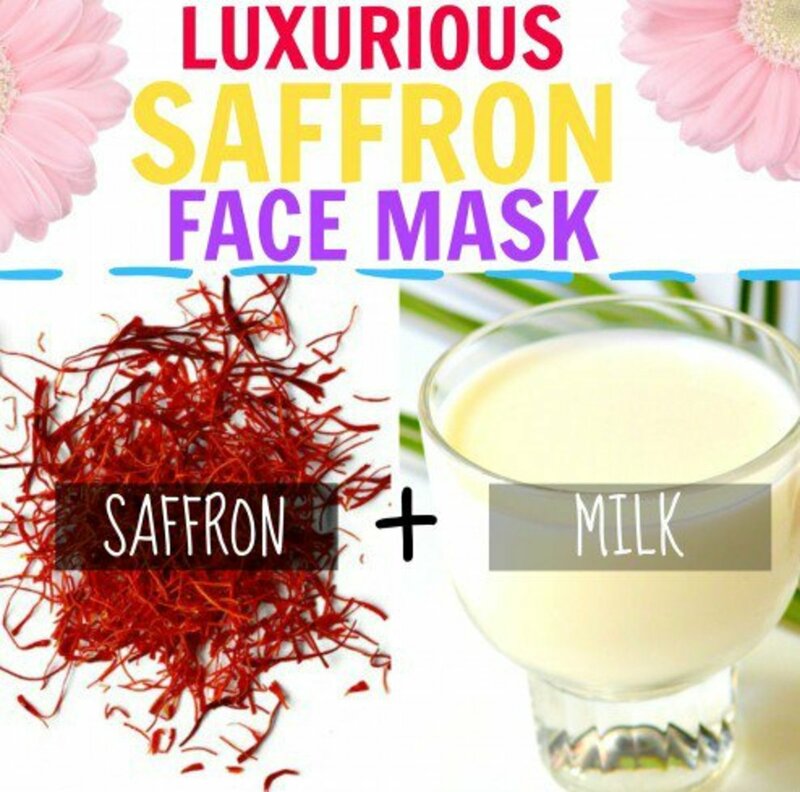 These two ingredients will help drive out any stale oils and excess sebum lodged deep within pores. Orange peel has a mild abrasive texture that will help exfoliate oily skin. 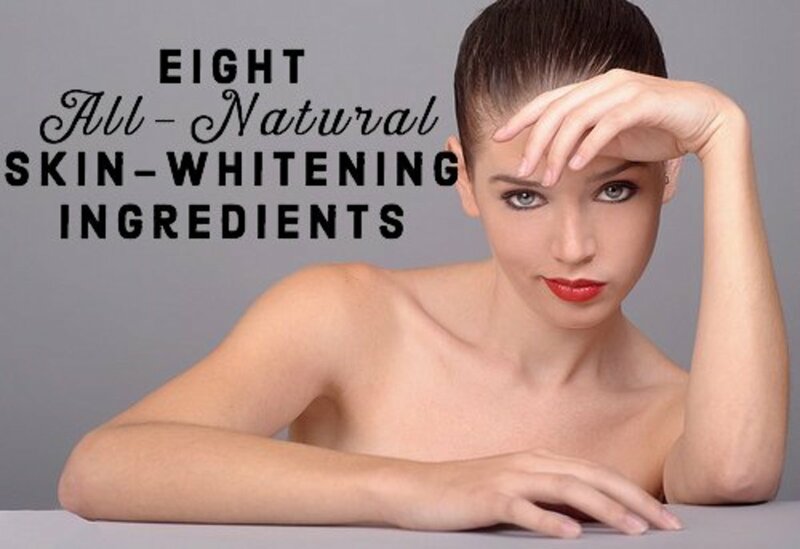 It also contains skin lightening and brightening properties for radiant glowing skin. Mix the two dry ingredients with enough water to make a paste. Gently slather this paste all over your face using clean finger tips. Leave it on for 3-5 minutes. Rinse off after it dries up and pat dry with a fluffy towel. I'm curious as to whether oat flour can be substituted for the graham flour. You have indicated they have similar exfoliating properties. Also, I'd be reluctant to use the turmeric on my skin because of staining, as you have mentioned.